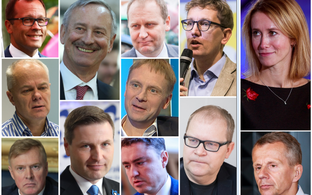 Isamaa/Pro Patria is the latest party to unveil its provisional list of number one candidates in each electoral district ahead of the March 2019 elections, but candidates in Tartu City and Ida Viru County are still lacking. 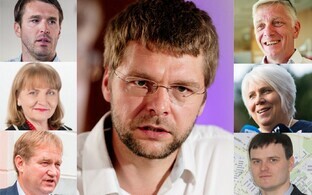 Reform, Centre and EKRE have already announced their prime candidates for all 12 electoral districts. Parties run lists in each electoral district in numerical order. Parties are permitted up to two more than the quota for that district, so in a district with a quota of 12, a party can run up to 14 candidates, though the two lowest performing candidates by votes are immediately struck off the list after votes are counted. The number one spot is usually held by a recognised or seasoned politician, existing minister, party leader etc., since they should attract votes above the minimum required for a seat. The excess is then redistributed amongst candidates lower on the list, carried out using a modified version of the famous d'Hondt method. Viljandi and Järva Counties: Helir-Valdor Seeder (party leader). Mustamäe and Nõmme (Tallinn): Urmas Reinsalu (current justice minister). Harju and Rapla County: Jüri Luik (current defence minister). Lääne Viru County: Marko Pomerants (current environment minister). Võru, Valga and Põlva Counties: Priit Sibul (MP and party secretary). Tartu and Jõgeva Counties: Aivar Kokk (MP). City Centre, Pirita and Lasnamäe (Tallinn): either current MP Viktoria Ladõnskaja-Kubits, or former finance minister Sven Sester. 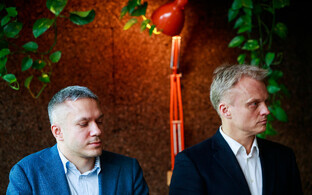 Haabersti, North Tallinn and Kristiine (Tallinn): Mart Luik (city council deputy). Lääne, Saare and Hiiu Counties: Raivo Aeg (MP). Pärnu County: Andres Metsoja (MP). 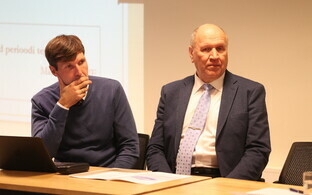 Of the outstanding two districts, historian Lauri Vahtre has been touted as a possible candidate for Tartu City; the Ida Viru County runner has yet to be named. 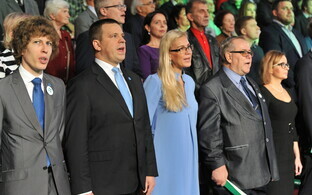 As a coalition party, Pro Patria boasts two other sitting ministers, former olympic yachtsman Toomas Tõniste (finance) and Kaia Iva (social protection). The party also has one MEP, Tunne Kelam. Ministers may run in the electoral districts and often do so for the vote-attracting reasons noted above. If they win a seat but remain a minister after the election, or alternatively if someone running for a seat subsequently gets made a minister, the candidate must vacate their seat, giving it to the next person on the electoral list. 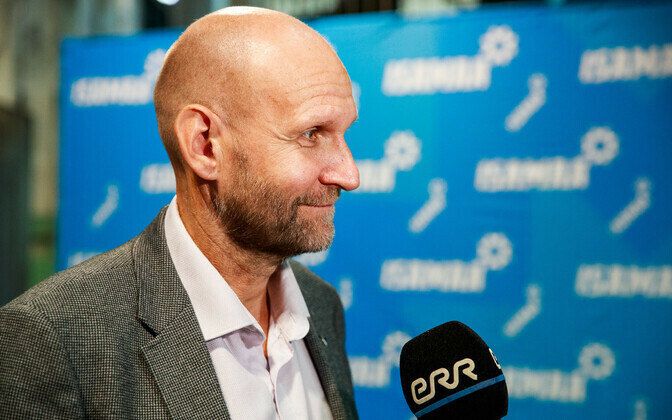 Should the minister resign or return to their parliamentary seat for whatever reason, the 'benchwarming' candidate must make way for them, something which happened when former entrepreneurship minister Urve Palo (SDE) stepped down in August. The Pro Patria list is not finalised yet; as for the missing candidate for Ida Viru County, Helir-Valdor Seeder told ERR that "We are engaged in finding this person and there is still time''. Meanwhile the Estonian Greens, who do not have any Riigikogu seats at present, have named party leader Zuleyxa Izmailova number one candidate in Haabersti, North Tallinn and Kristiine districts of Tallinn.